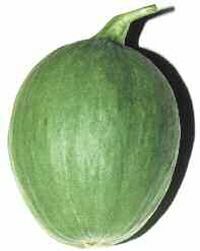 CAROSELLO BARATTIERE (cucumus melo L. var. inodorus) Typical variety of Puglia (Italy), which fruits are consumed raw or as salad. Weight fruit kg 0,500, round deep green colour, smooth without hair on skin. Middle vigorous plant.